About how much yarn did you use I’m buyin two skins of black for my main at 147 total yardage and only 1 skien each of yarn for my four colors also at 147 yardage. Hello!! I LOVE this pattern!!! 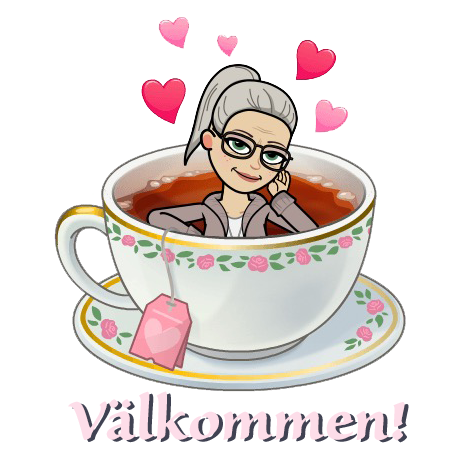 I am very eager to make it…and am interested in using the same yarn and colors as you…i see that you do not ship outside sweden….so i found a way to order the yarn from another site. I was wondering if you could tell me what the names of the colors you used and how much of each? Thank you!!! Love this pattern! It’s so cute. I do have one question: why do you not wait until the very end to add the lacy edge? It’s a little confusing to me to sort of plonk it right in the middle of the instructions. You are free to do it whenever you want to! 😉 I wrote the pattern and took the photos in the same order as I crocheted the beanie. My english is very Bad. I hope you will unterstand my words. I’m the one who sells the pattern in germany. I just wanted to say that i really, really, really haven’ t had any knowledge of your pattern as i wrote mine. I also have a Kleid (sorry i don’t know the english word) in the same design. I think you will not belive me but it is very important for me that people don’t get the wrong impression from me and it is very important for me that you know that there was no copying from my side. I wrote Crazypatterns a E-Mail whit the wish to delete my pattern. I hope they do this as soon as possible. Also i deleted the pattern from my other sides. It is very hard for me that people get such a impression from me. I am very sorry all of this happened but i didn’t knew of your pattern. The comments with the link was the first time i saw it. Please contact me to tell je what will be the right way to handle this. I just got feedback from another reader about this! I feel so hurt! It is not the first time either that someone else take credit for my patterns! Last year an English crocheting magazine published this pattern… Now this German site sell it for 2,90 Euro. My Daisy square pattern and my Rainbow bag is out on every Russian crocheting site. They have stolen my photo tutorial and even put their name as designers on them! Frankly, I do not know what to do about it!? It drains me of my creative energy and it is so unrespectful and hurtful! Greetings from Germany and many thanks for the translated pattern. Love it! Love your hat. Thank you!!! Får man beställa en såndär mössa? Och vad skulle den kosta? Tanken är att jag inspirerar o du virkar! 🙂 Garnet till mössan får du mer än gärna beställa i min webbshop men virka får man göra själv… eller be någon virkande vän! I’d love to include your fabulous Slouchy Beanie pattern. Please let me know if you’d be happy to have your pattern included in this eMag. Hello! I am in love with this Pattern! Can you do this to download on as pdf? that would be great *0*! I’m happy you like it! But as it is a free pattern you will have to do with the format it is in – my blog post.